Triple Crown-winning jockey Victor Espinoza made headlines the first weekend of January when he appeared in the saddle for a morning work aboard John Sadler-trained St. Joe Bay at Santa Anita Park. It turns out there's more to the story of his gradual return from a July 22 training hours spill after his mount, Bobby Abu Dhabi, suffered a catastrophic injury at Del Mar that left Espinoza with a fractured vertebra. Thoroughbred Racing Commentary spoke with the jockey, who said his recovery was slowed down when the workers’ compensation system halted his rehabilitation multiple times without notice. Post Time Self Insurance Group, which handles workers’ compensation at California racetracks, canceled Espinoza’s physical therapy three times, according to the report, with the longest break lasting between 10 days and two weeks. Espinoza said he would have to reschedule and wait for an available date after his appointments were canceled. Espinoza also required a home-aid to help with daily chores and to ensure his safety if he fell. The home-aid service was also stopped. “Luckily, my brother was coming that day. But imagine if nobody was here? 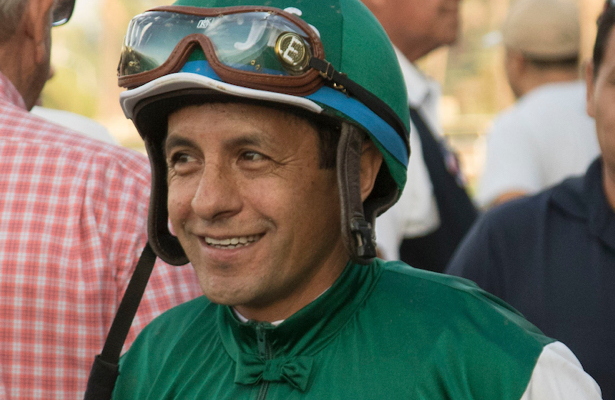 One day meant a lot to me,” Espinoza told Thoroughbred Racing Commentary. Brian Beach, Espinoza's agent, said it is a “protocol” at Post Time that delays rehabilitation requests, which slowed Espinoza’s recovery, and feels it costs more money when treatments are not approved quickly. Espinoza is well known in racing, of course. The Hall of Famer piloted American Pharoah through the 2015 Triple Crown and rode California Chrome, whose multiple Grade 1 victories include the Kentucky Derby and Dubai World Cup. “I’ve heard from lots of people who have had similar problems to me, and I realize I’m very lucky,” the jockey added. “Many other people don’t get the attention they need." Espinoza is hoping to return to race riding and is seeking a third doctor’s opinion before making a final decision.